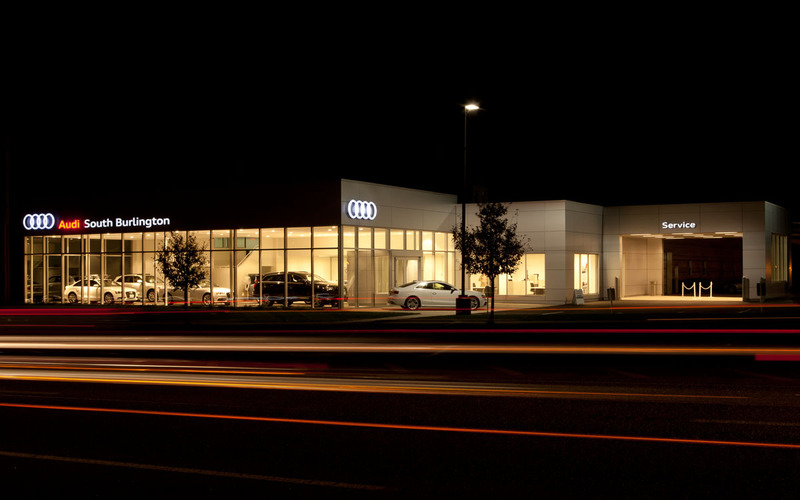 The Audi Showroom and Service Center of South Burlington is a structure that celebrates of the beauty of the automobile. The showroom was conceived as a pure glass box with sharp lines and crisp edges that contrast fittingly against the sinuous curves of the automobile. 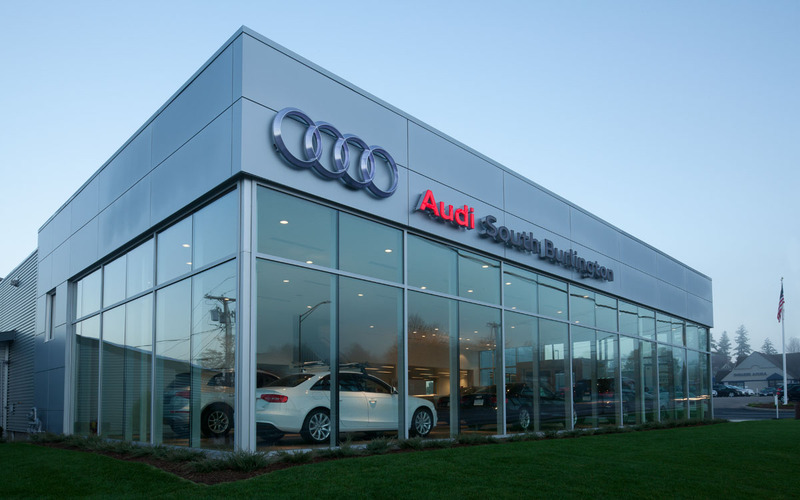 Smooth metal panels wrap a pure geometric form, with large expanses of glass that extend to the ground, providing unobstructed views into the sales floor. 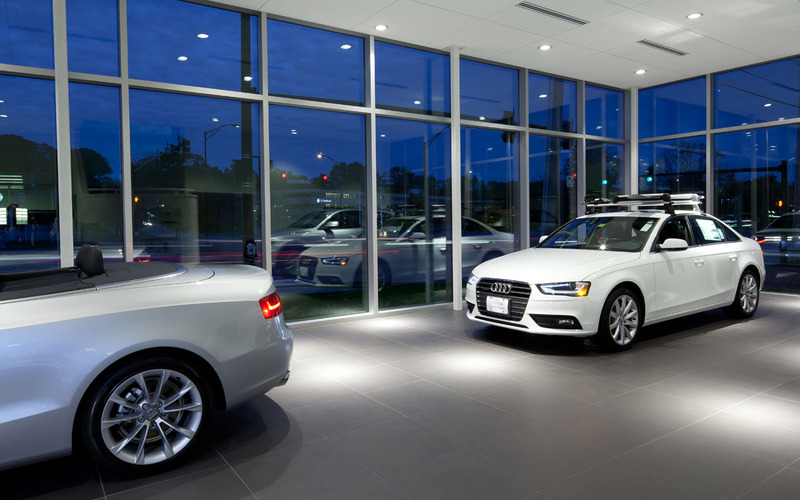 A horizontal roof form floats effortlessly over the showroom and adjoining drive-thru service bay, where customers engage directly with the building. 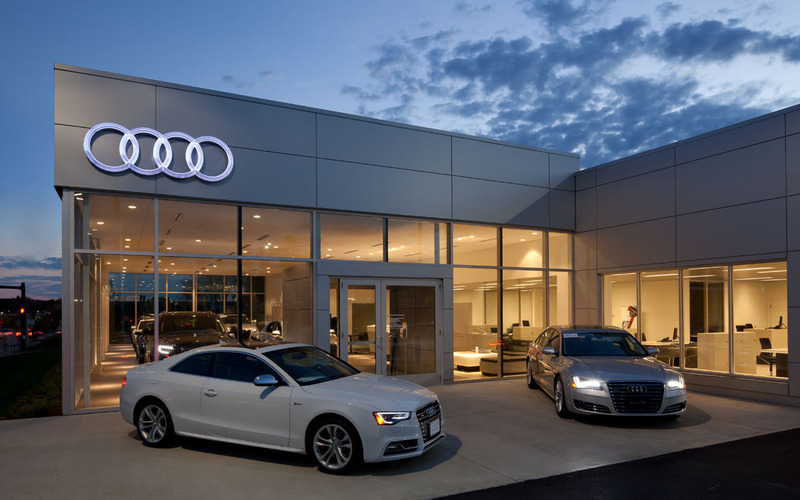 This project has been successful at elevating the customer’s car shopping experience and increasing sales for the owner.